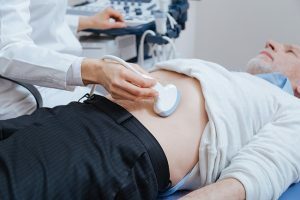 For more than 30 years, the Institute of Ultrasound Diagnostics has been training individuals in diagnostic medical sonography for success in entry-level sonography positions. Through an accelerated and intense training program, we are committed to preparing every student with the knowledge and skills needed to begin an exciting career in sonography. Why Choose a Career in Ultrasound Diagnostics? Sonographers enjoy a wide range of benefits upon entering the workforce. On average, sonographers earn more than $40,000 annually at an entry-level position. Over time and with added experience, they may earn much more. 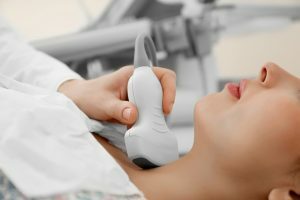 Although there are numerous factors that can affect a salary, entry-level sonographers can expect a fair and competitive salary. As technology changes, technicians get to enjoy working with cutting-edge technology as they look inside the body using sound waves. Although a background in applied health fields is not necessary to become a sonographer, this course of study is perfect for anyone with past medical experience looking to make a career change but desiring to continue making a difference in lives of others. Once the course and clinical study are complete, there is a diverse range of specialties and areas of focus to pursue when looking for employment. Some of these specialties include positions within various hospital departments, outpatient clinics, and mobile units. Trained sonographers may enjoy working in fields such as OB/GYN, abdominal, and vascular applications as well as echocardiography, neurosonology, pediatrics, and MSK among others. The Institute of Ultrasound Diagnostics’ flagship program is a One-Year comprehensive training program in diagnostic medical sonography. For 90% or more of those interested in pursuing a career in ultrasound, our One-Year program is most relevant and complete program to fulfilling that goal. However, in very specific cases, IUD offers Continuing Medical Education (CME) and short-term Cross-Training courses intended for those with a 2 year allied healthcare background who are currently employed in the medical field and are being cross-trained into sonography. These courses range from 1 week to 3 months. Our One-Year program is an advanced, accelerated continuous 12-month program in general diagnostic medical sonography. It includes abdomen and OB/GYN applications as well as the Sonography Physics and Instrumentation. The One-Year program is also CAAHEP accredited. It is unlike most sonography programs offered in a college or university setting. What sets our program apart is, it is one of the few sonography programs in the country that offers a comprehensive diagnostic medical sonography curriculum in a 12-month time frame. Additionally, we also offer this program for distance learners. It is an accelerated, full-time, day program which requires self-motivation and good time management skills. For those requiring additional time considerations in order to process information or desire a slower paced environment, this program may not be for you. Our program covers, in 12 months, what most schools cover in 18-24 months. We can do this because you must complete prerequisite classes prior to admission. Once you begin the sonography program, you can expect fast-paced information delivery and clinical instruction. At the end of the One-Year sonography program, the combination of in-class didactic instruction and hands-on clinical training will equip students with the knowledge and skills needed to sit and pass the ARDMS (American Registry of Diagnostic Medical Sonographer’s) exams in Physics and Instrumentation, Abdomen, and OB/GYN sonography and the ARRT (American Registry of Radiologic Technologists) exams in general sonography. For very specific applicants and situations, IUD offers several short-term cross-training and CME course. These courses are intended for employers/employees currently working in the allied health filed (ie. X-ray, CT, etc.) who are being cross-trained into ultrasound. These cross-training options, which includes both in-class instruction and scan labs, highlights didactic teaching in three main categories related to normal anatomy: Physics/Instrumentation, Abdominal Sonography, and OB/GYN Sonography. See our cross-training page for more details. If you’re interested in learning more about our programs contact us today!